Keep your eye on Moldova. It could be the cause of the next Ukrainian-style flare-up between Russia and the West. A bit of background for those who have never heard of Moldova. It is sandwiched between Romania and southwestern Ukraine. It is the poorest country in Europe; ranks 103 out of 168 on Transparency International’s corruption scale; is bitterly divided between pro-Russian and pro-Romanian factions; and Russia has troops in a narrow strip of land on the eastern border which has declared itself independent. Over 80 percent of the country speaks Romanian. The two countries also share common traditions and even the same name for their respective currencies—the leu. During the interwar years a big chunk of Moldova was actually part of Romania. After the war it was part of the Soviet Union. In fact, impoverished, landlocked Moldova has over the centuries bounced back and forth between Romania, Russia and the Ottoman Empires. The Romanians and Russians have especially left their mark—and peoples—behind. The Russians settled a large community on the banks of the Dniester River on the Eastern border. They are the largest ethnic group in an area generally referred to as Transnistria, although it has also gone by the name of Bessarabia and the Pridnestrovian Moldavian Republic of Transnistria. When the Soviet Union collapsed in 1991, Moldova—all of Moldova—declared itself an independent republic. The Russians in Transnistria were unhappy about this. The result was a civil war with the Russian support for the Transnistrians. The civil war lasted until March 1992 when a Joint Control Commission of Moldova and Russia was set up to monitor a ceasefire. At the same time, the Transnistrians declared themselves independent of Moldova and some 1,600 Russian troops remained in Transnistria. The only countries which recognise an independent Transnistria are the Ruritanian Russian-created satellites of South Ossetia, Abkhazia and the Republic of Artsakh. Russia has withheld formal recognition but has established a consulate in Transnistria. Then there is Romania where there is a growing movement to annex all of Moldova. There is a significant minority of Moldovans who favour this. Romania is a member of both NATO and the EU. If there was any move to increase links between Romania and Moldova then there will be a reaction from Russia. If it is a strong reaction against Romania then NATO is obligated to come to its defense. In short, it could be a Ukrainian-style situation. The only difference is that Ukraine has no significant allies while Romania has extremely significant and obligated allies. To complicate this utterly complex situation, the Moldovans outside Transnistria cannot decide whether they are pro-Russian or pro-Romanian. The prime minister, Pavel Filip, and the courts are pro-Romanian. The President, Igor Dodon, is vehemently pro-Russian. The military appears divided. 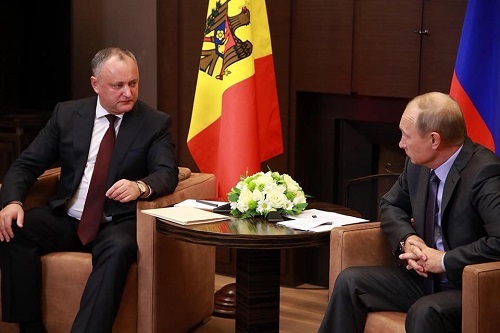 President Dodon’s powers are restricted but he uses them to the fullest to pursue Russian aims. He is in and out of the Kremlin office of Vladimir Putin and since his election just over a year ago has been suspended by the Moldovan courts three times for illegal pro-Russian moves. The first two were for refusing to verify the appointments of anti-Russian cabinet ministers. The most recent was only this past week when he vetoed a parliamentary vote to block Russian news broadcasts. 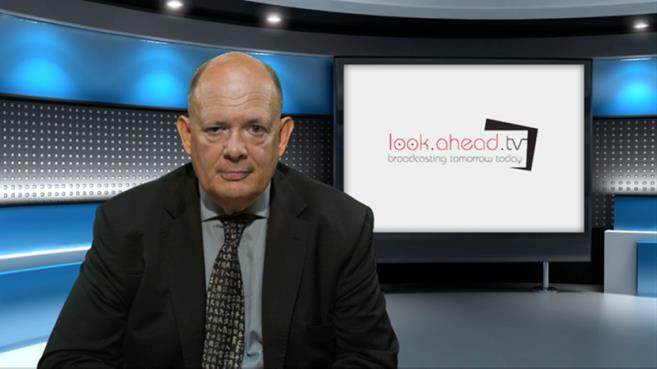 Parliament said the broadcasts were propaganda aimed at undermining the Moldovan government. President Dodon said they should be allowed to protect the principle of free speech. Meanwhile, the security situation in Transnistria is starting to deteriorate. In September, the Russian-backed breakaway government complained of “aggressive moves” by the Moldovan military. The Russians—who had promised to withdraw their forces—have stayed firmly in place and in 2017 conducted 70 military manoeuvres, most of them with the Transnistrian military. The margin for error is rapidly shrinking. The consequences of error are growing.